London leather goods is made from real 100% quality strong leather. This is a two toned purse with multi coloured stripped interior. 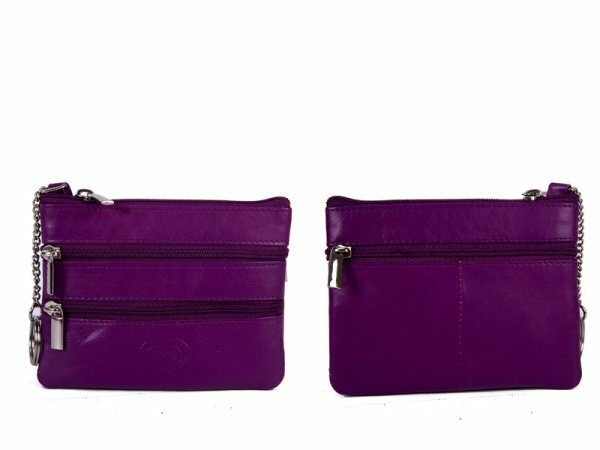 It features 4 zips to hold your coins and notes. It also has a inner key ring.